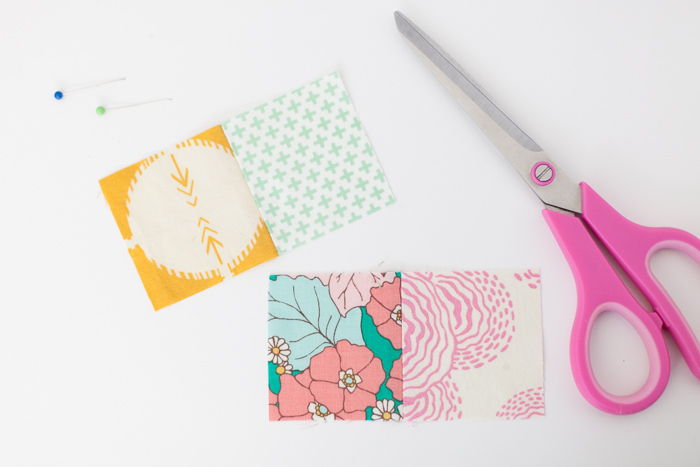 So, this is actually an update of the very first tutorial I ever posted on this blog. Figured it could use a little sprucing up! I've changed a few small details of the tutorial and took new photos, etc. 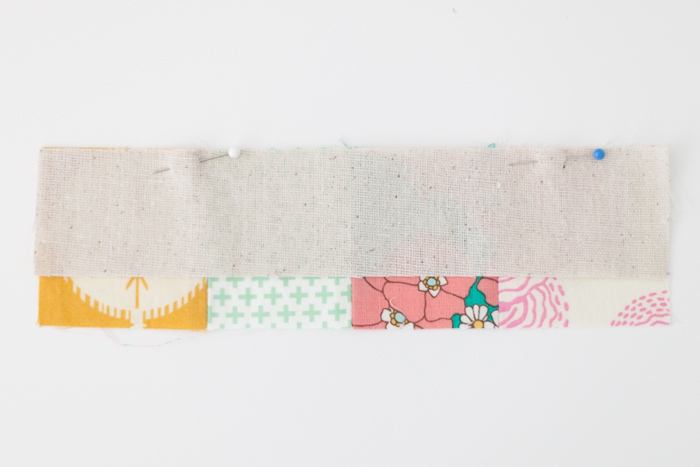 It's a really simple project, it's quick to make, and is a fun way to show off little bits of your favorite fabrics. 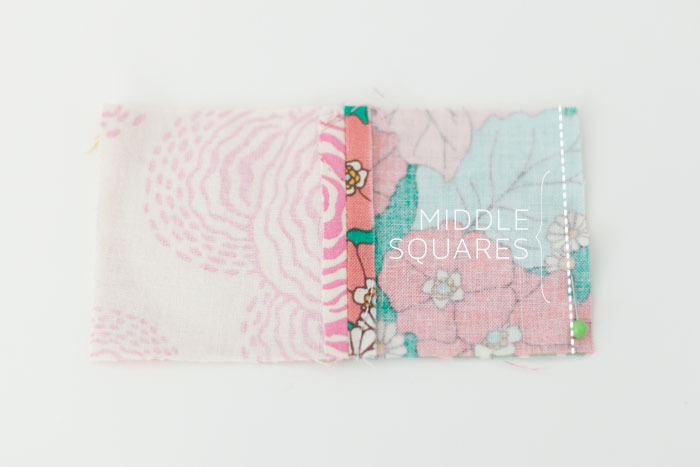 Place the 4 square pieces in preferred order. 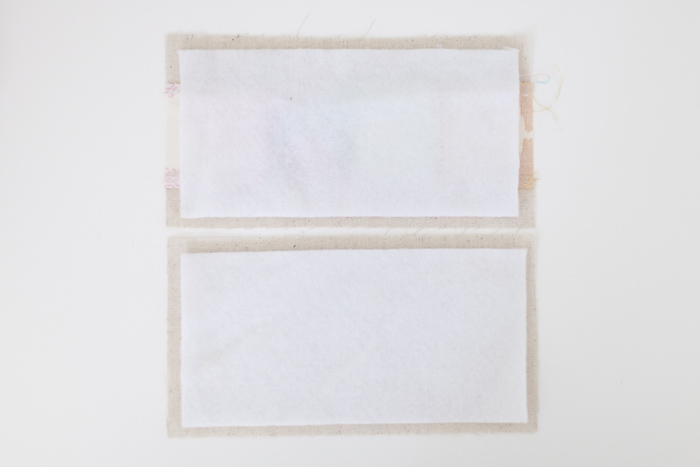 The two wider pieces will be on the outside and the remaining two will be on the inside so that the squares will measure the same after the pouch seams are sewn. 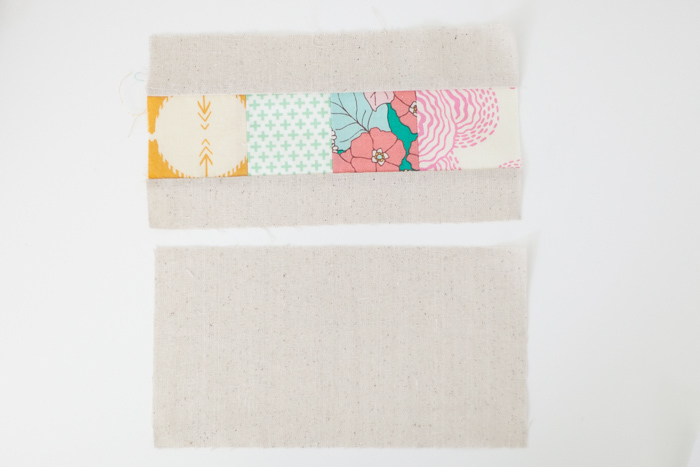 Trim the front and back pouch pieces as needed so they are the same width / height. Center the fusible fleece onto the wrong sides of the front and back pouch pieces and fuse in place. Quilt the front pouch piece. I kept it simple and did two lines of stitching above and below the patchwork. 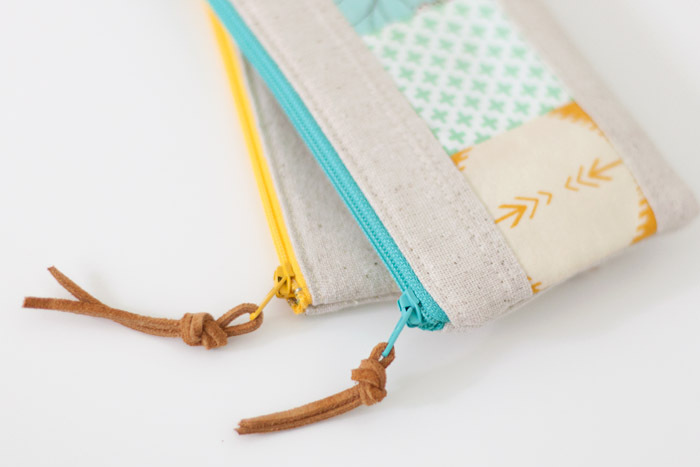 Place the front pouch piece right side up, next place the zipper face down and with zipper pull to the left, and finally place a lining piece right side down making sure the the top edges of all three line up. Pin in place and sew across the top close to the zipper teeth. 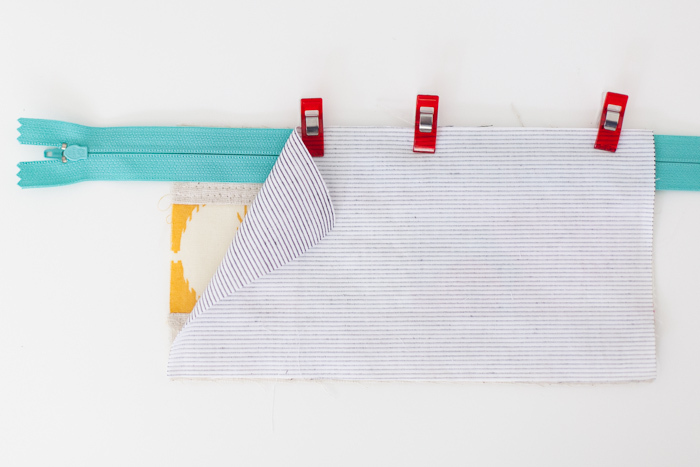 Flip the fabric around so that both pieces are right side out. Press well. 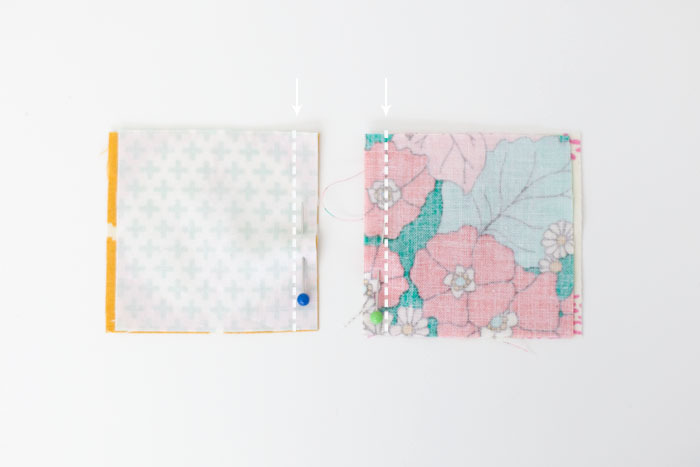 To attach the other half of the pouch, layer the pieces as follows starting at the bottom: back piece right side up, completed half of the pouch right side down (outer fabric), and then the remaining lining piece right side down. Align the top edges of all the layers, pin, and sew together close to the zipper teeth. Separate the layers so you have one outer piece + lining (right sides facing out) on one side of the zipper and the same on the other. Press well and topstitch close to the zipper on both sides. 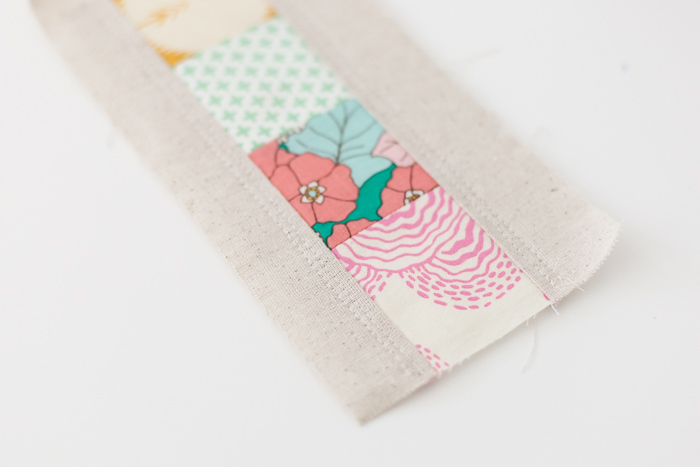 Flip the layers around so that the lining and outer pieces are right sides touching on both sides of the zipper. 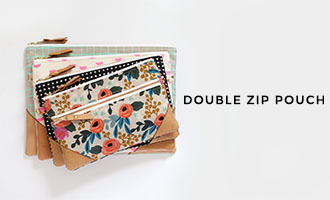 Make sure to unzip the zipper halfway so that you'll be able to turn the pouch right side out. 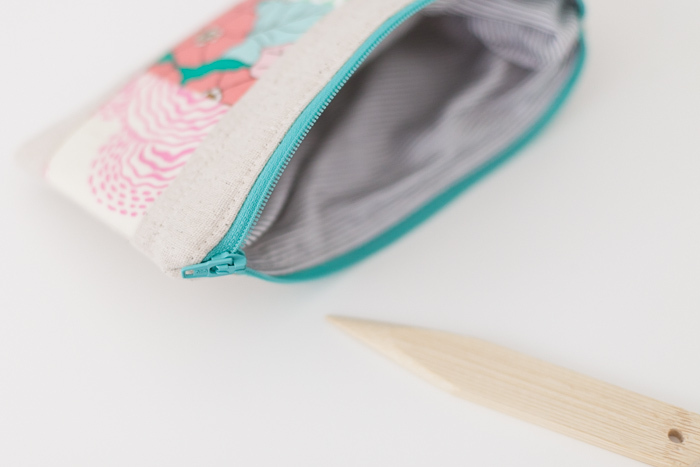 With zipper teeth facing the lining, pin or clip the layers together and sew all the way around (3/8" SA), leaving a small opening at the bottom of the lining for turning. 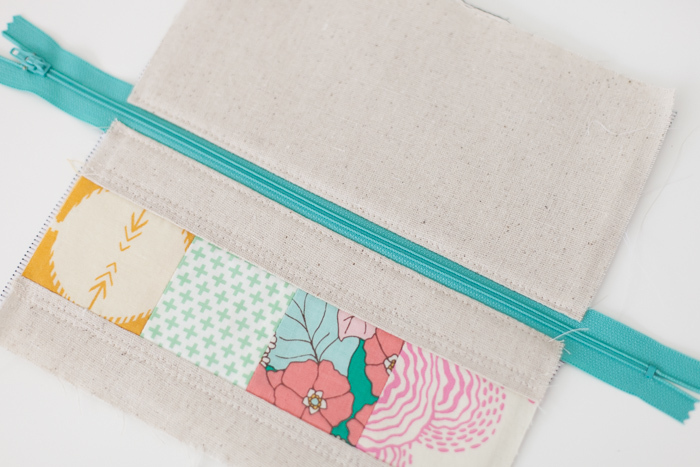 Clip corners, trim off excess zipper tape, and turn pouch right side out through opening. Use a pointy object to gently push out corners. 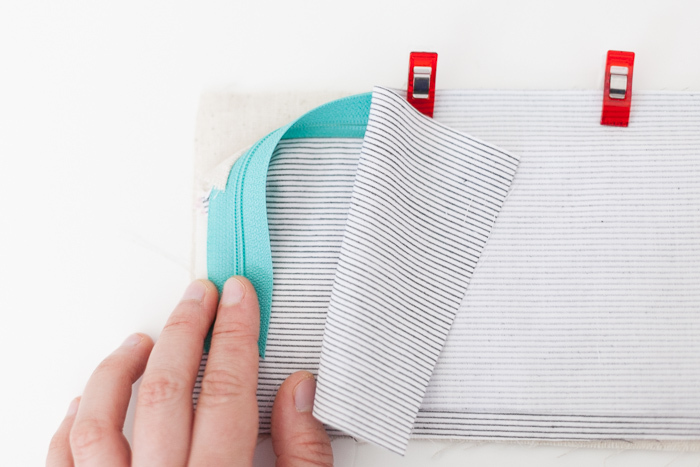 Press the pouch well to flatten and shape. 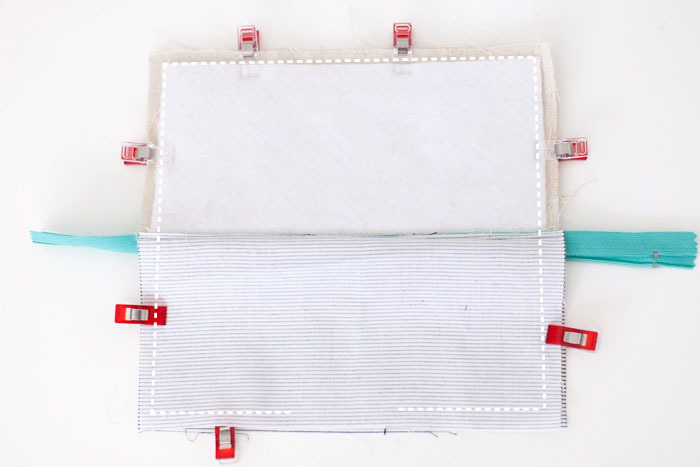 Close the opening in the lining by hand stitching (ladder stitch) or machine sew. Done! so awesome. 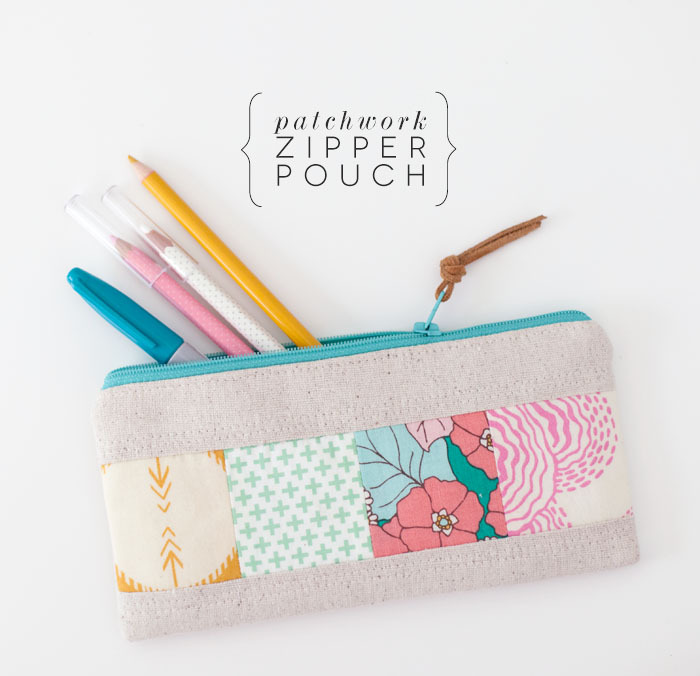 just love your clean, modern design aesthetic and these zippered pouches are perfect:) Thanks for sharing the tutorial!! Thanks for the tutorial! Your fabric choice is amazing. It is lovely but would be nice if there was a printer-friendly version. I am definitely going to make this. Thanks for the tutorial. Very cute! 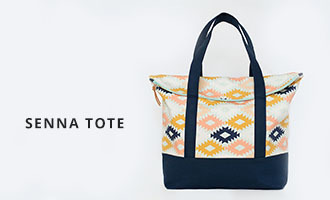 Is the green and pink scrap from the material you used in one of the earlier versions of the Senna tote? I would really love to know what the name/maker of that fabric is, it's so pretty! it is! it's one of my favorites! 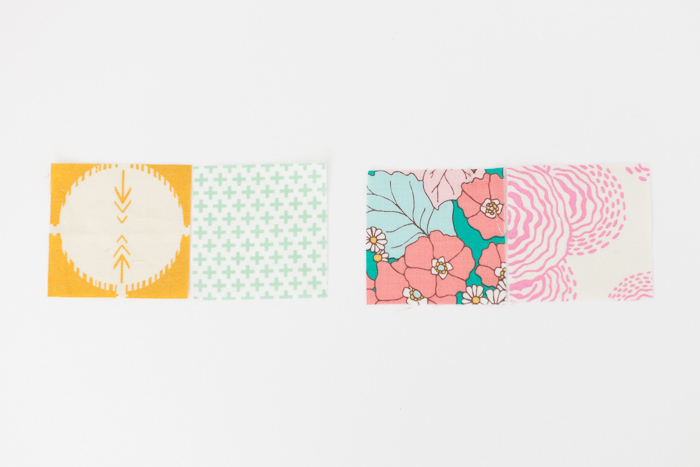 it's by joel dewberry, the collection is bungalow, and the print is dainty daisies. 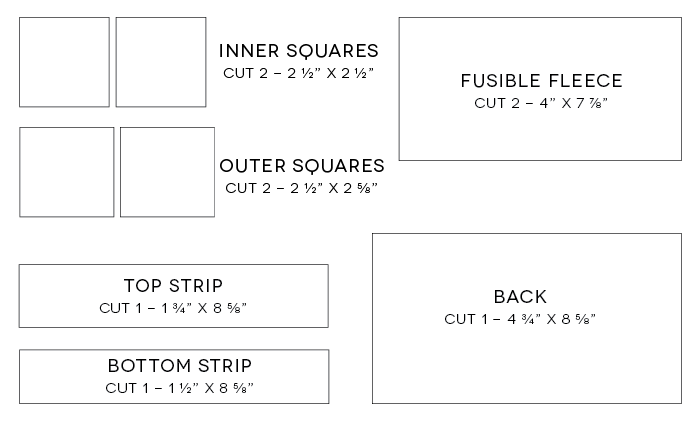 you can find it in regular quilt weight as well as rayon challis. Hi! 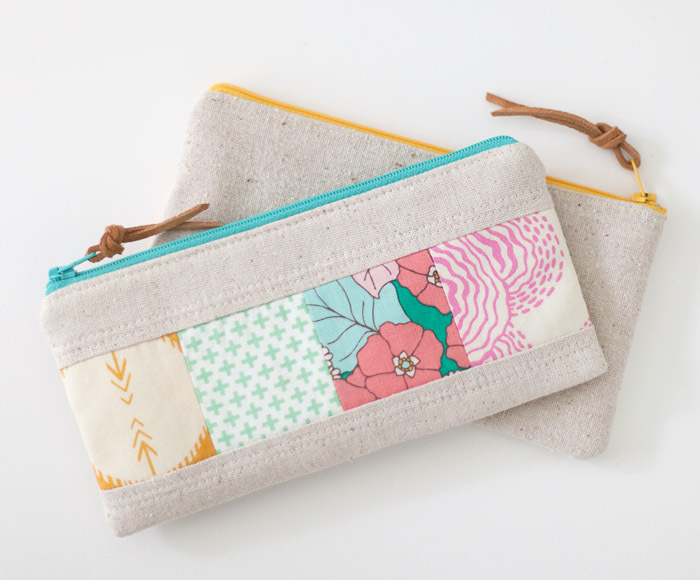 I am in love with your pencil cases, and have been making so many at home! 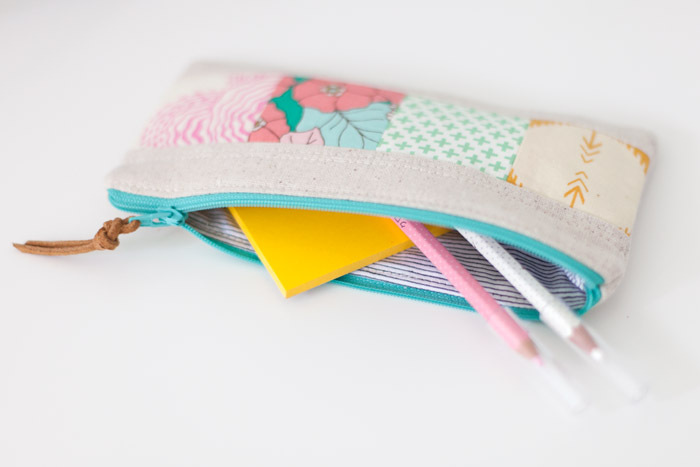 I was wondering, is it alright for me to sell these pencil cases on Etsy? Please email me to negotiate a plan, and feel free if you don't think it's a good idea!